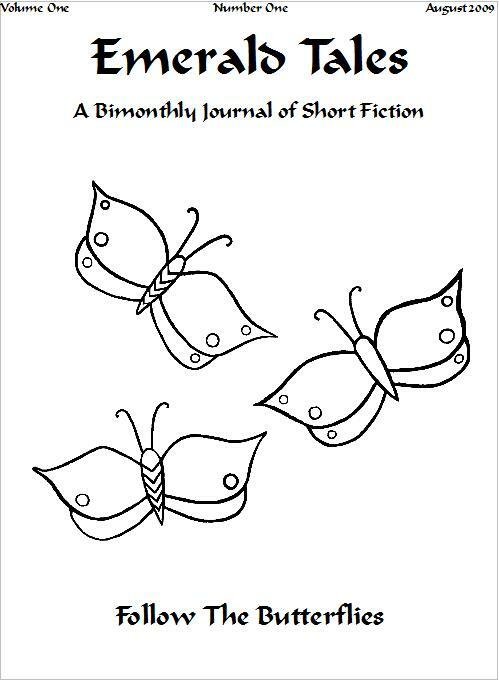 A themed bimonthly journal of poetry and short fiction from all genres all written on the same theme. Editions in both print and electronic formats are available for purchase both online and through the mail. 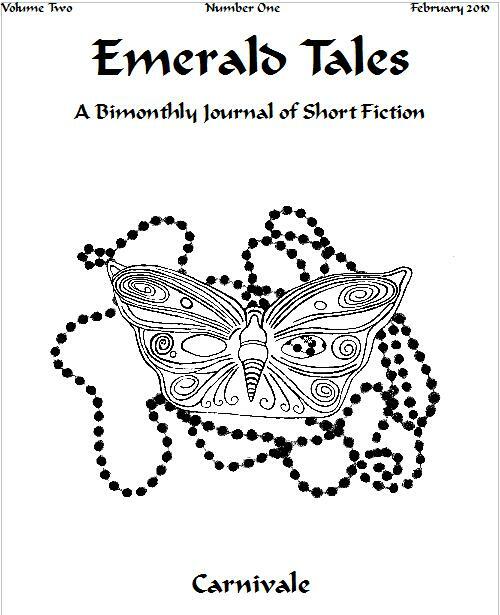 Supplemental poems and stories to Emerald Tales are published in Copper Wire. Following butterflies can lead to love or to death. It can be a release from suffering or a path to pain. An omen of death. A warning of danger. These stories will make you laugh, cry, or tremble in fear. 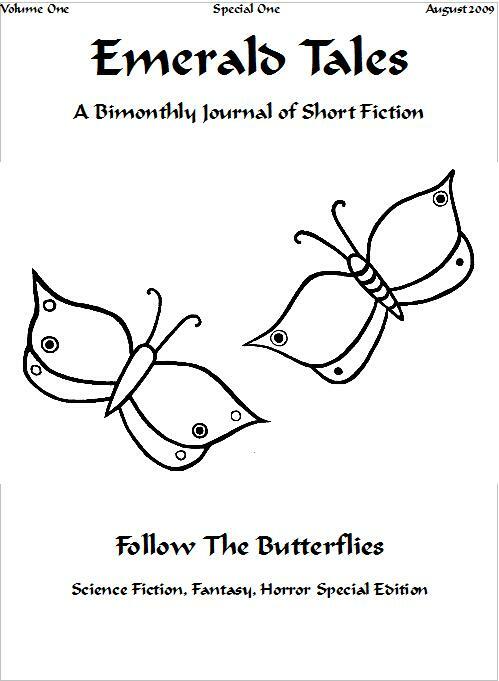 The butterflies in these tales are protectors of children, saviors of men, alien predators, supernatural beings, or signs of the end of the world. 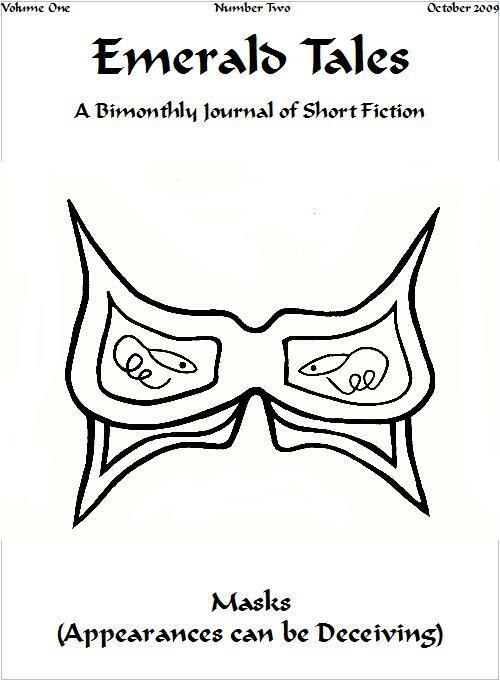 Short stories about a blind date, a thief masquerading as a clown on Halloween night, homeless people, vegan aliens, a masquerade ball, a grandfather who raised his grandkids, and a sweet little toddler all have one thing in common: all is not as it appears to be. 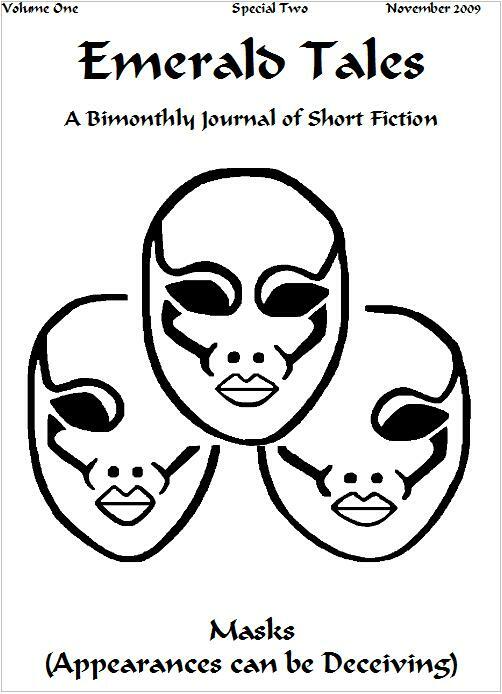 Poems and short stories about a shadow drake and a mortal woman, a sea witch, flexi-cubes, a banshee, an incubus with gender identity issues, a robot so real a man would want to marry one, becoming a knight, and what really happens to your children during puberty. Contributors: J. N. Bower, Effie Collins, Marie Croke, K. S. Dearsley, Aubrie Dionne, Bruce Golden, Denise Golinowski, Scott E. Green, Richard S. Levine, Laura Jeanne Sanger, Troy Seate, Grady Yandell, and Hugh Wilson. A couple are reunited on Winter Solstice; a slave has a day of freedom on Saturnalia; a worker at a crisis line has a scary drive home in the snow; an eight-year-old boy gives his great-grandfather the best gift of all; a young trapper discovers a gruesome scene at his neighbors cabin; a young boy and his grandfather must avoid a Viking raiding party; a teenage girl records the last seven hours before the arrival of the Centaurians on Earth; and a young woman encounters the not-so-grim reaper. 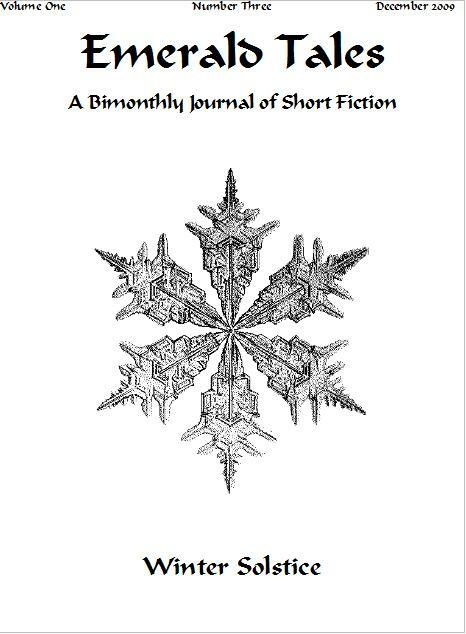 Contributors: Guy Belleranti, Heather Gregson, Damien Walters Grintalis, Bruce Golden, John Hayes, D. L. Hegel, Neil James Hudson, Raymond Koonce, Kristina Lee, Lauren McBride, Heather Parker, Cherie Reich, and G. W. Thomas. 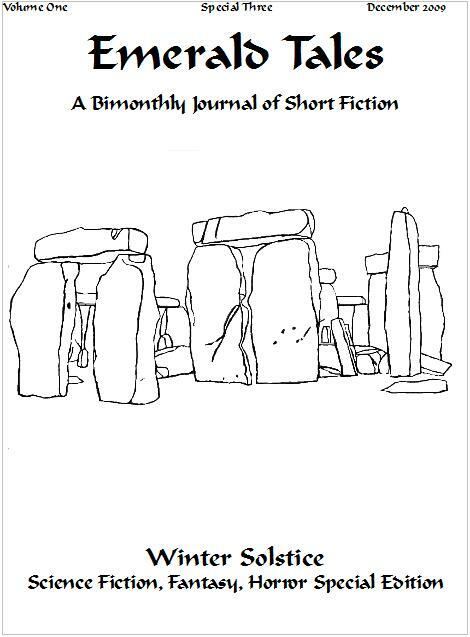 An etcher is blamed for her villages troubles; the longest night is good for predators other than vampires; a priestess does what she must to save her lover; a boy must uphold his father's legacy; a man tries to retrieve his wife; a young woman learns about her parents; A man of the Steppe encounters a woman of courage; a servant gains his release and revenge on those who enslaved him; a young woman must help prevent the masters of chaos from being unleashed. 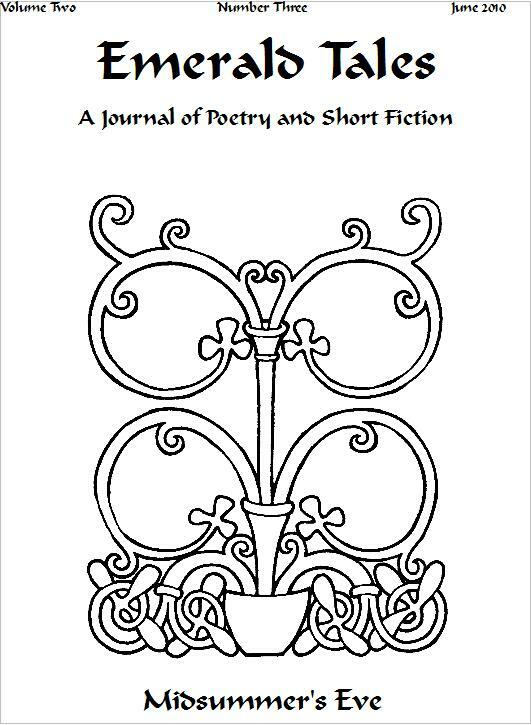 Contributors: Jennifer Azantian, Faith Boughan, Thomas Canfield, Marie Croke, Aubrie Dionne, Jason Flum, Alice Godwin, Wynne Huddleston, Penn Kemp, Tracie McBride, Bill Moon, and Julie St. Thomas. A school friend goes to visit Saint Jake; an alien encounters a young woman at Carnivale in Brazil; a child listens to the music of The Hurdy Gurdy Man; A dancer's night of farewell to flesh; there something different about those tattoos; a young couple's encounter with a voodoo man at Mardi Gras; teenagers attend a carnival passing through town; a young woman's encounter with a mask seller; and two young boys go for a carnival ride. With poetry by: Guy Belleranti, josh byer, Catherine Moore, Patricia La Barbera, Darrell Lindsey, Patty Saturn, George Moore, and John Hayes. 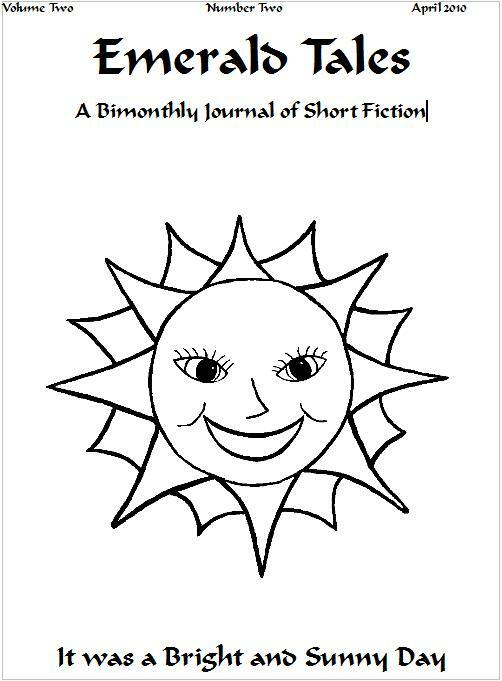 A lot can happen on a bright and sunny day: a student writes a story; time flies by an old man sitting outside his home; a teacher gets hooked into playing a computer game; The FBI is on the trail of a serial killer; A man tried to avoid making the same mistakes that he did in his first marriage; a teacher meets a man who knows a bit more than she does about the Elizabethan era; the animals of the forest teach owl a lesson; a man investigates a meteorite; an elderly couple prepare for their great-grandson's visit; there's a New World Order following the philosophy of Margaret Thatcher; and someone has changed all the King's horses into ducks. With poetry by: John Hayes, Guy Belleranti, Matthew Byer, Amanda C. Davis, Marge Simon, Lauren McBride, Darrell Lindsey, and Michelle Mead. On Midsummer's Eve, a young woman and her family visit the aunts who raised her, a trip outside the dome turns deadly, the seventh child of the seventh child must repay a debt, a cartoon character comes to life, a young woman faces disappointment, a village is invaded during their midsummer ritual, and a woman's true love is revealed to her. With poetry by: Guy Belleranti, Grace Galton, John Hayes, Wynne Huddleston, Darrell Lindsey, Lauren McBride, and Patricia Puckett. Contributors: Guy Belleranti, Faith Boughan, Peter Caunt, Laurie Dalzell, K. S. Dearsley, Grace Galton, Bruce Golden, Eliza Granville, John Hayes, Wynne Huddleston, E. Hull, Darrell Lindsey, Lauren McBride, and Patricia Puckett.